July 31, 2018 – Beating cancer is a race against time. 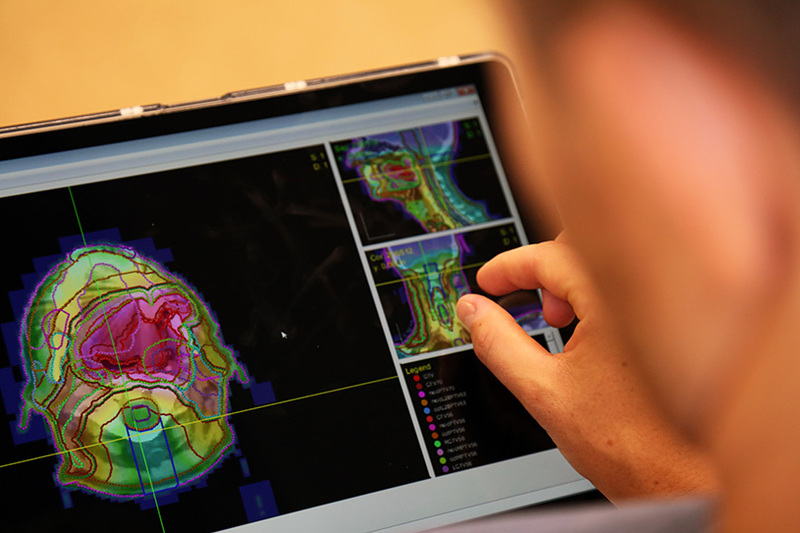 Developing radiation therapy plans —individualized maps that help doctors determine where to blast tumours — can take days. Now, Aaron Babier (MIE PhD Candidate) has developed automation software that aims to cut the time down to mere hours. He, along with co-authors Justin Boutilier (MIE PhD candidate), supervisor Professor Timothy Chan (MIE) and Professor Andrea McNiven (Faculty of Medicine) are looking at radiation therapy design as an intricate, but solvable, optimization problem. The therapies generated by Babier’s AI achieved comparable results to patients’ conventionally planned treatments — and it did so within 20 minutes. The researchers recently published their findings in Medical Physics. If AI can relieve clinicians of the optimization challenge of developing treatments, more resources are available to improve patient care and outcomes in other ways. Health care professionals can divert their energy to increasing patient comfort and easing distress. “Right now treatment planners have this big time sink. If we can intelligently burn this time sink, they’ll be able to focus on other aspects of treatment. The idea of having automation and streamlining jobs will help make health care costs more efficient. I think it’ll really help to ensure high-quality care,” says Babier. Babier demonstrates software’s visualization capabilities. Babier and his team believe that with further development and validation, health care professionals can someday use the tool in the clinic. They maintain, however, that while the AI may give treatment planners a brilliant head start in helping patients, it doesn’t make the trained human mind obsolete. Once the software has created a treatment plan, it would still be reviewed and further customized by a radiation physicist, which could take up to a few hours. 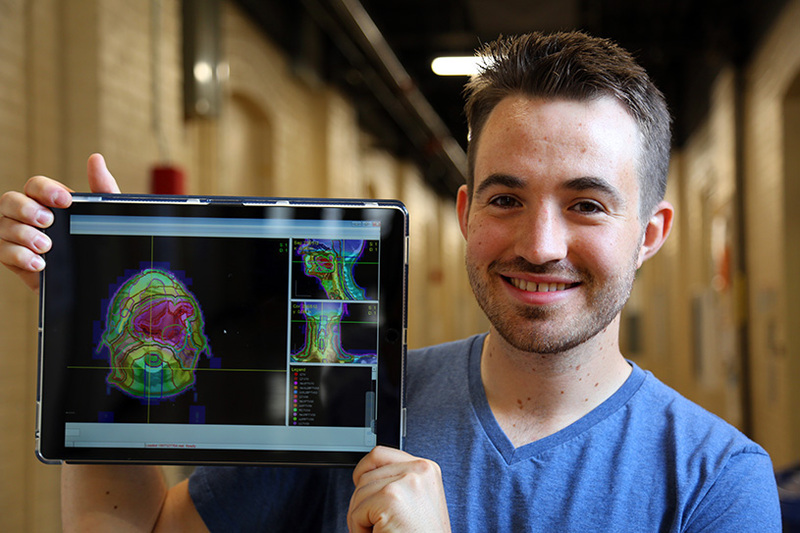 For Babier, his research on cancer treatment isn’t just an optimization challenge. “When I was 12 years old, my stepmom passed away from a brain tumour,” Babier shares.